As summer approaches, what can be better than a night at the opera? 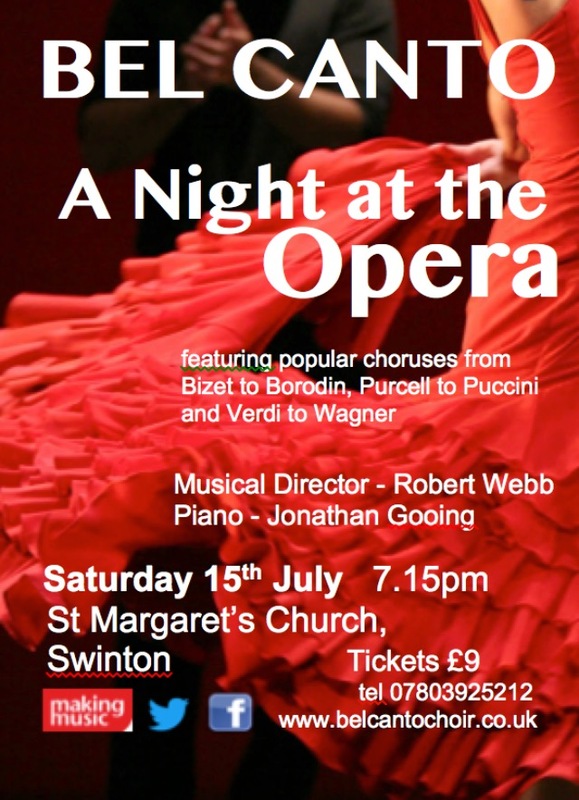 While La Scala, Milan or Covent Garden, London may be popular for many, Bel Canto will be creating a evening of everyone’s favourite opera choruses at St Margaret’s, Swinton, South Yorkshire. From Bizet to Borodin, Purcell to Puccini or Verdi to Wagner, there’s bound to be something for everyone.